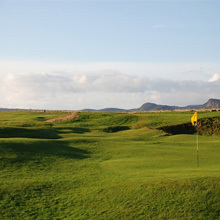 Golspie Gold Club offers one of the finest settings for a round of golf in the Highlands of Scotland. With stunning views over the Dornoch Firth and the towering backdrop of Ben Bhraggie this is truly a Highland gem. The par 70 course offers a unique blend of seaside links, heath and parkland to suit golfers of all abilities.